José Azevedo is focused on the use and production of steel powder for manufacturing. His PhD is sponsored by Tata Steel UK. The main objective is to find technical solutions that improve energy and/or material efficiency within steel powder processing. 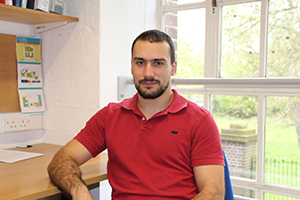 José has a Mechanical Engineering degree from the University of Porto, Portugal. He joined the Use Less group in 2015 and hopes to finish his PhD by 2018/2019.